When I first visited Sweden I heard about the Allemansratten. Or in English: Everyman’s right or you can say Freedom to Roam. Have you ever heard of that? I really got excited and started to plan a trip in my mind to do that myself!! And well.. If you start dreaming of something you need to turn that into a reality is my opinion. 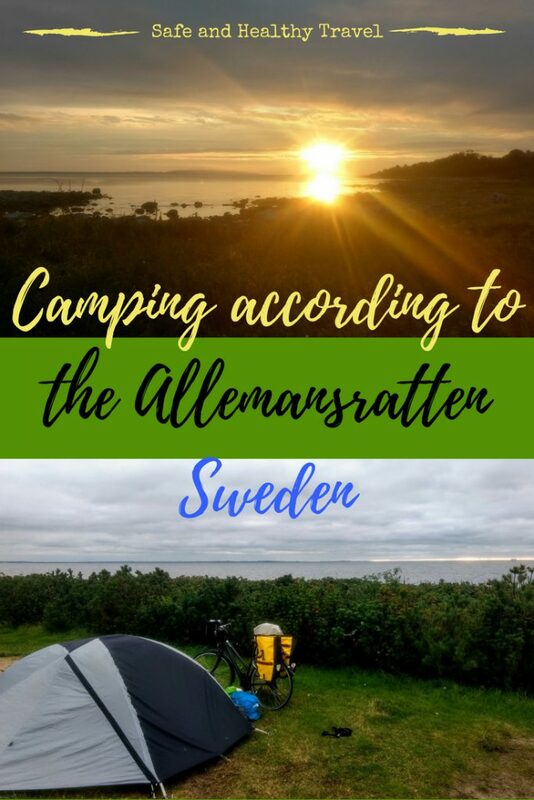 So the next year I went camping in Sweden and tried this Allemansratten! 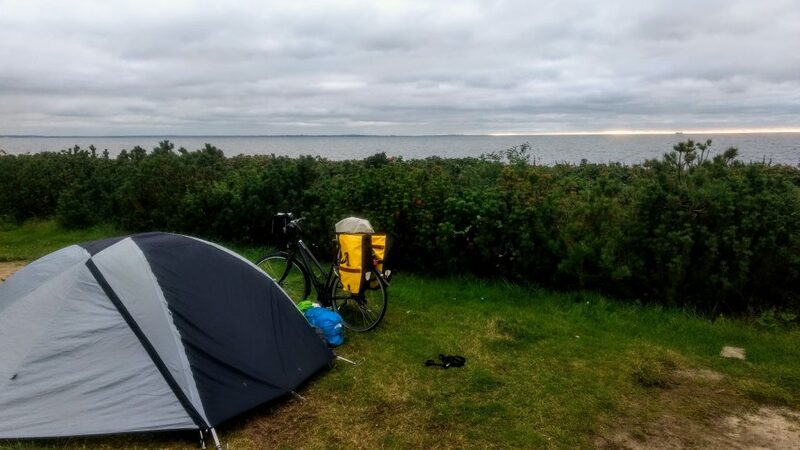 So when I was invited to cycle the Kattegattleden I decided to take a tent and go camping in the outdoor according to the allemansratten. I really felt like doing so and had been prepared well! Because I had never slept in a tent before…by myself.. I decided to go for a camping that first night. Put on the tent and see if I could do that easily. I did practise once in my garden and that worked out great. When I put up the tent on the camping grounds I got compliments about how fast it went 🙂 That made me really positive and so the next day I would go for a spot in nature! 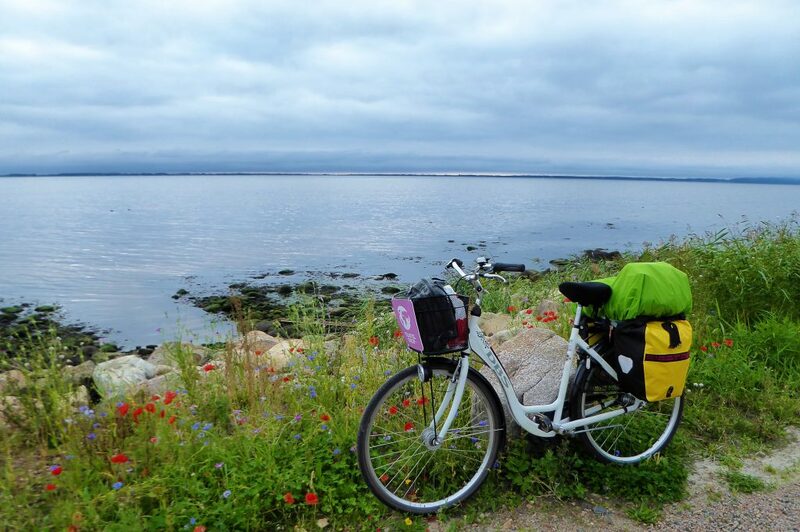 My spot that first night on the cyclepath Kattegattleden at Örestrand, isn’t it a great one? With a great sea view!! Before heading on that next day I saw this spot in the forest where I could have put up my tent really good. It was made for campers!! It had a table and seats, a place to stay dry and a garbagebin. I decided to look for such a spot for the next night! Look at this, isn’t that the best spot? I thought about only putting up the inner tent in the building you see on the right side. In the middle is a spot to make a fire and there are tables and such. That is an ideal spot for campers!! Not visible on the picture… but behind me was a building where you could use the toilet and get some water. Isn’t it just the best spot? Later that day I started to look for a spot, I was around a place called Ängelholm. Don’t you love those names? The owner looked at me and told me that I could camp everywhere if I wanted. The spot I was looking for at Magnarp was not there anymore and then he invited me to stay behind his restaurant, in the harbour.. He seemed very proud about the Allemansratten. I was happy to talk to him and I thought it was a good idea for me to spend my first night out with the allemansratten in the harbour of Magnarp. So with permission of the owner, close to a village and next to a restaurant where I could get my dinner and with a public toilet for the night and morning.. I loved it! And with a great view over the sea! I put up my tent close to the shelters to get out of the wind. I talked with a man that owned the right side of the building and I put my bicycle in there for shelter. He didn’t closed the door that night for me. How welcoming are the Swedish!! A couple of great white horses in the bay and a beautiful sunset.. My evening was complete! I was really happy with this first camping experiencing and want to go camping more and further into nature. The camping according to the allemansratten was really good! The hospitality of the Swedish is wonderful and that made it perfect!! Unfortunately for me this was the last night as it started to rain. And not just a shower here and there.. no it was almost the whole day through so I had to take hotels for the rest of my trip. I took my trip in the beginning of september and if you are lucky that won’t be a problem.. But that year autumn started early. Especially at night it could be a little cold and you don’t want to spend that time outside sleeping. Everything will get wet and moist and you won’t dry that during the day. I felt sad about the fact that my camping adventure was already to an end but the night I did have were great! For me it is a good reason to come back and try this camping again. Then I will use the allemansratten again to it fullest! Do you think you would dare to camp like that too? Would you like to put up your tent here? Looks like a perfect spot!! What is the allemansratten exactly? The allemansratten is not a formal law in Sweden, it is an unwritten law. The Swedish nature is open for everyone. Ofcourse you need to be careful with nature and have respect for animal and human. There are some rules to keep ofcourse. But what are those rules exactly? There are not many rules and most of them are logical and ones you could have thought of yourself. I’ll point them out for you here. It is not allowed to stay in one spot for a week. 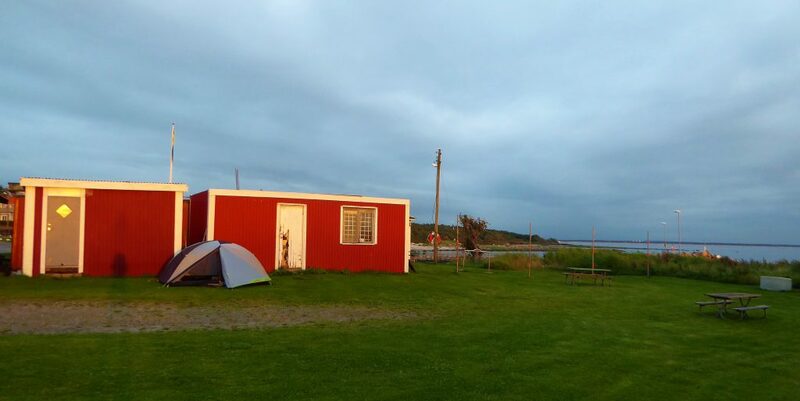 The camping according to the Allemansratten is meant for stays for 24 till 48 hours. So 1 or 2 nights in a spot is good. The reason behind this is that you don’t interfere too much with that place. It is nature and you need to make your footprint as small as possible. If you put up your tent and let it stand for multiple days the grass will die underneath for example. But also the things we do there leaves a bigger print after a couple of days. Are you in nature and does this land belong to someone you need to ask for permission. My experience untill now it that Sweden is really hospitable and they will not refuse you on their land. It is not allowed to camp in places where they grow vegetables or such. In some national parks it is not allowed to camp or only at designated spots designed for camping. This will be clear for anyone with signs in multiple languages. It seems so obvious but it has to be mentioned. You can not leave any rubbish in nature. If you are really far in nature there are no carbagebins and so you need to take this with you untill you find one. It is allowed to make a campfire at your campingspot! How cool is that? You need to do it safe ofcourse. Make sure there is no way of harming nature and causing a bushfire. Is it already dry for weeks and maybe too dry for a fire Sweden can ban the fires for some time. Make sure that you are up to date. You can use the wood that you find to make a fire…but it is forbidden to get branches of a tree or even cut down a tree! Did you bring your dog too? 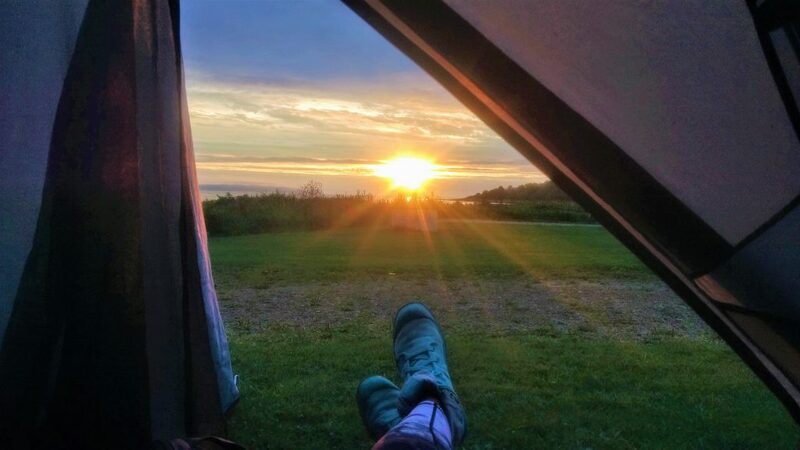 It is allowed to take your dog camping in nature in Sweden. Your dog is allowed to walk freely in nature too. Do make sure that it is not huntingseason in case people are looking for animals.. And also make sure you have the complete control over your dog. If an animal will come on your path you need to call it back ofcourse, this means for wild but also for livestock and such. What else can I mention about the Allemansratten? 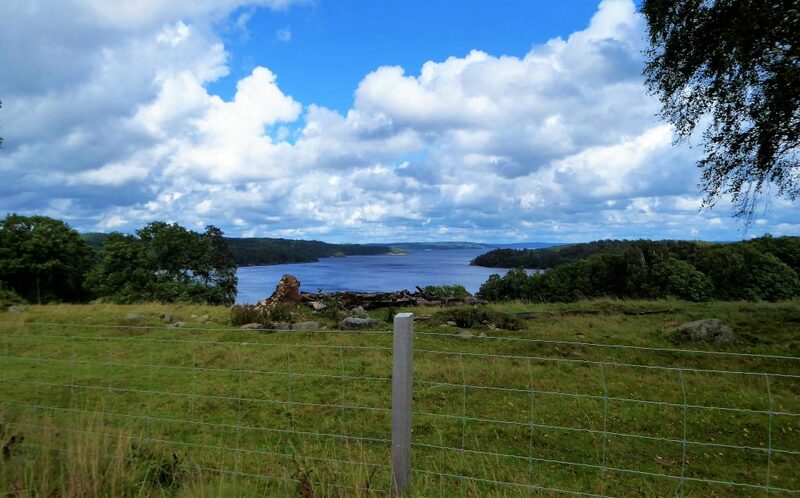 Also part of the Allemansratten is the fact that you can roam free in nature. 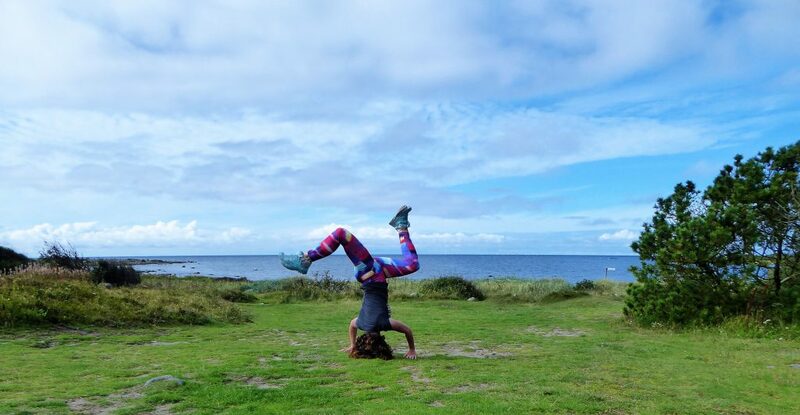 You can enjoy the surroudings where ever you are in nature! And also enjoy everything that nature has to offer. I noticed a lot of people roaming the forest and searching mushrooms! They came out of the forest holding a bag filled with some big mushrooms! 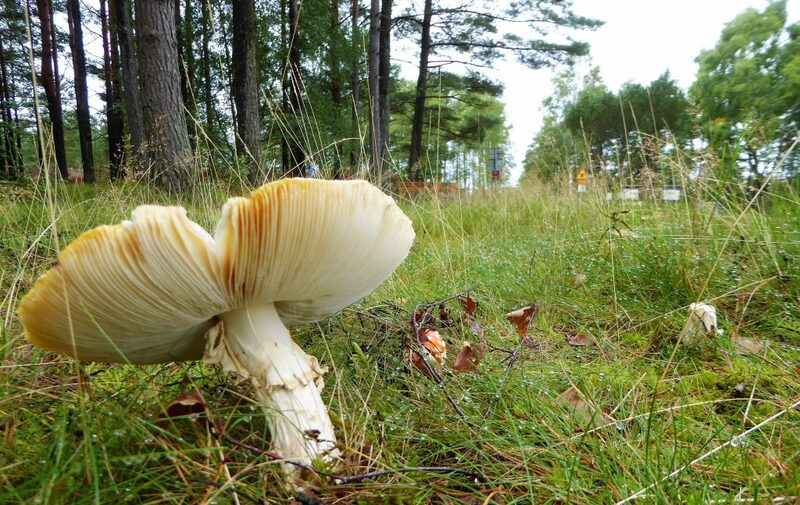 They plucked some nice big mushrooms to make a good meal that night! The law gives you a distriction.. you can only get what you can eat yourself. So plucking mushrooms to sell in your shop is not an option, you can get a fine for that. The same things counts for berries and flowers!! Check for more explanation about this interesting law if you want to go camping too in Sweden on this site: Naturvårdsverket. 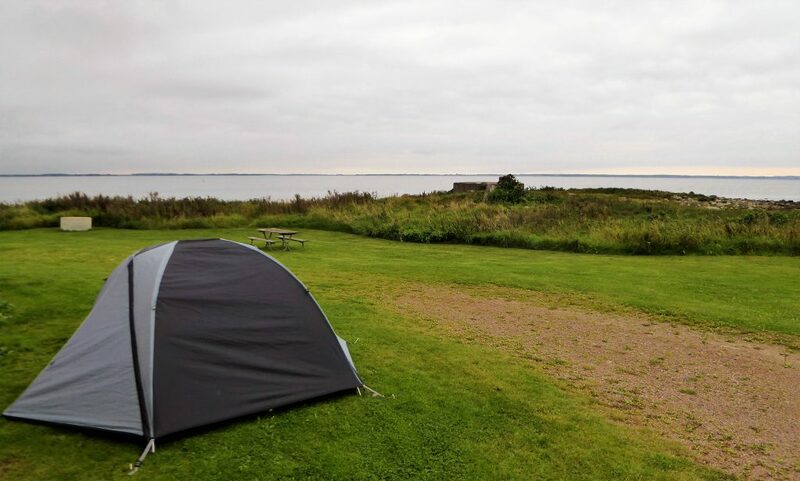 Do you already have some camping experience with the Allemansratten? Do tell me about it and inspire me to go again!! Please share it for others to enjoy too! 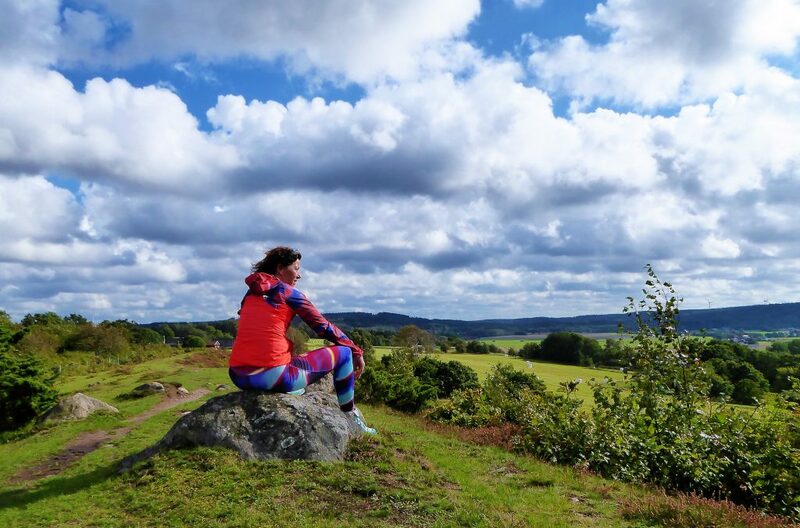 Want to read some more adventures in Sweden? Or would you like to explore some more? Or can I inspire you to do some Yoga poses? Responsible Tourism. Get off the elephant!